Noun. 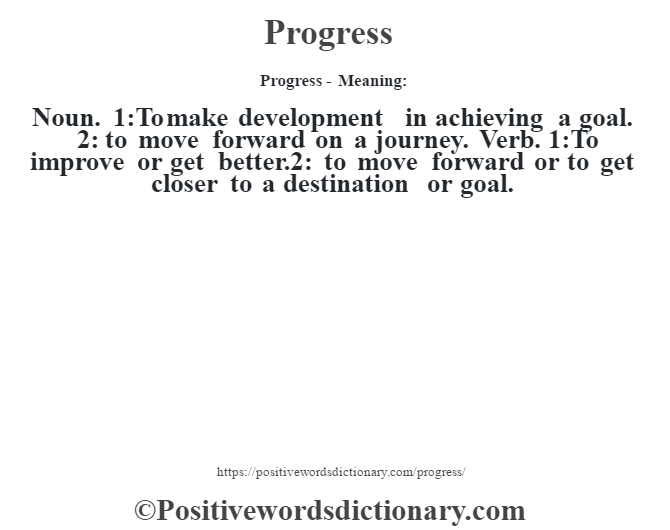 1:To make development in achieving a goal. 2: to move forward on a journey. Verb. 1:To improve or get better.2: to move forward or to get closer to a destination or goal.